In the early 1980’s Americans bought little Toyotas, Hondas, BMW’s etc. in such numbers that many of the manufacturers begin building them right here in America. The buyers of these cars developed a severe distaste for the enormous cars that Detroit had produced from the mid-sixties to the late-seventies and beyond. Ironically, the retirees who bought their last new cars in the giant years were becoming older and smaller inside those cars, so for a while in the big cities of America it was a common sight to see a tiny old person squeezing through ever more crowded parking lots in a giant Buick with an impatient youngster trapped behind them in a little imported BMW or Nissan. Beginning in the 1990’s, the same people that equated the old American giants with the Devil began to buy cars that were in many ways just as big. They bought SUV’s. Now an SUV (Sport Utility Vehicle) is a strange beast. Designed mainly for crossing unpaved land in any weather at low speed without getting stuck in the mud, they are now used simply as cars. They don’t drive off the road, they don’t get muddy and they generally contain nothing more than the driver and a load of fuel in the tank. Even though the majority of SUV’s are trucks with additional bodywork and luxury interiors and are much harder to control in extreme situations than modern passenger cars, people who buy them feel safe and protected by their sheer bulk. But let’s face it, there’s always something bigger and heavier out there. You can never out-bulk a bus, an eighteen-wheeler or a cement truck with your SUV, but you are more likely to avoid them in a nimble, controllable modern car. So the question arises, what is the difference between a modern giant, and an old giant? What is the difference between a Seventies car and an SUV? In this lighthearted comparison, I forgo responsible research for unadulterated opinion. Before I dive into my unscientific comparison, let me set the stage with some wheelbase figures. In many cases the 70’s cars protruded farther fore and aft of their wheelbases than do the SUV’s, and they had wider body-widths at the beltline, but I didn’t find out overall length and width dimensions for this article, just a few wheelbases. Which is safer, a modern SUV or a Seventies car? A modern SUV is much safer than a big old car for many reasons. Mainly, three decades of painful and deadly research has given us proper seat belts and all kinds of airbags and crush zones that add protection to the vehicle occupants in the event of a crash. 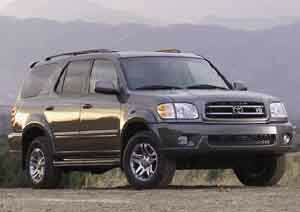 And crash avoidance is surely better in a modern SUV than it was in the old land barge. But here’s the thing, crash avoidance is not the strong point of SUV’s compared to modern passenger cars. Sadly SUV’s are more likely to fail to avoid a crash than modern cars, and they are more likely to roll over, causing spinal injuries to the occupants. But if you are going to crash, better in an SUV than in a ’73 Oldsmobile. The modern SUV’s certainly drink a lot of fuel compared to smaller cars that could convey the occupants from place to place just as well, but the old cars often returned figures of ten to the gallon, which was bad enough when gas cost 35 to 85 cents in the Seventies, but at two dollars and up? Forget about it! Can anyone remember what the air smelled like when you were stuck in traffic on a hot day in 1972? It would take a fleet of clean-burning Ford Explorers to mess up the planet as much as one old car. Not to say we should ban old cars though. It’s beautiful to see the occasional classic grinding along, and one or two old Smokies here and there is acceptable for that reason. It was not until the 21st Century that American car and truck makers finally began to understand that head restraints should be high, and more importantly, should be right behind the head. Foreign vehicle makers realized this years ago. When you get rear ended, the head restraint is supposed to stop your head from going back, the cause of whiplash. Sad to say even my own 2000 Dodge Stratus has head restraints that are way back behind the head. If I ever get rear-ended, I’ll get whiplash. In the Seventies they were not only too far back, they were very low and in fact they acted as neck-snapping fulcrums in many cases. Most modern SUV’s have head restraints that are actually where they should be; behind the head. Especially the non-American SUV’s! One good thing about SUV’s, they are essentially giant station wagons. They don’t call them station wagons because its bad marketing and most young people have never even been to a station, let alone in a wagon. Anyway, if you have a table, a bicycle or half a dozen coffins that you want to move, you can open the tailgate of your SUV, drop the seats and slide in the big item. It will even stay dry in the rain. The big seventies cars were sometimes station wagons, but more often they were sedans or enormous coupes. You could often get three people in the front and three in the back, but the large trunks were designed for suitcases and groceries, not tables. Some old coupes were bigger than most modern SUV’s but had two cramped rear seats and limited height in the trunk. The size was not functional. The American giants were all notorious for poor build quality and consequently more were sent to the junkyard crusher than were maintained or restored. As they become more and more rare in the new era, they will become more collectable and take their place beside the beautiful rolling art of the Fifties and other decades. It is unlikely anyone will ever collect or show old SUV’s in the future, but you never know. If they become extinct due to fuel prices or new regulations or some kind of sensible revolution, they’ll also become collectable. If you never experienced a ride in a full-size, mid-Seventies American car with a huge engine, you have missed out on a 20th Century treat. The bounce, the torque thrust that twists the car when you stomp on the gas, the (up to) 8.2 liters of thirsty, stinky, all-American muscle, the fingertip power steering, the tire squeal, the four girls in the back seat, (huh? ), all combine to make a uniquely American experience. An evening of cruising that burns as much fuel as a week of commuting in Europe and without even a hint of effective emissions control. 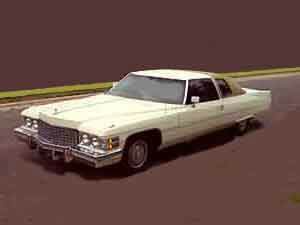 One of my favorite things to do in a full size Seventies car is to stop the car in drive and then gently ease on and off the brake pedal until the front end bounces up and down as if it had hydraulics. As I write this I am yearning for a ride in really big light-metallic-green one! Let’s face it, neither the land barge of old or the SUV of today is a sensible vehicle. If you really want to rise above, you don’t need axle height; you just need any good modern passenger car. But when it comes to cruising, sensible can be a bad thing. Jeffrey the Barak is the publisher of the-vu and used to be a car enthusiast, owning a ’55 Chevy as a “daily-driver” for a few years. I really dont know how I missed this article. At this time, SUVs are my pet hate and I only recently became very aware of them on all the roads here in Israel. There are more in quiet family neighbourhoods than on farms and desert places they were designed for. If the knowledgeable writer Jeffrey, would update this article… to NOW, October 2008, would there be many differences?